How Long to Build a Home? What can you expect when building new?- Armchair Builder :: Blog :: Build, renovate, & repair your own home. Save money as an owner builder. How Long to Build a Home? One of the common questions asked by those looking for a new place is…How long to build a home? The average home in the U.S. takes anywhere from four to six months to build. But according to the latest U.S. Census Permit Survey numbers, twenty-six percent of all owner built homes in 2012 took longer than thirteen months to build. Why are some of these homes taking so long and what can be done to shrink the time to build? So when we talk about building your own home here at Armchair Builder, we are referring to you managing the process as the general contractor. This means you are in control of the project scheduling, budget, and quality. So you are managing the overall process, not physically doing all the work. But because you are in control, you may choose to do some of the actual physical work to save extra money. But be careful. If you don’t have the proper time to dedicate to the physical work, or you don’t have the time saving tools required, it may take way too long to complete. Remember, time is money. For every day your house sits incomplete, you are paying overhead costs for loan interest, real estate tax, portable toilets, insurance, storage,…etc. Weather – Get the home under roof as quickly as possible so weather won’t affect the schedule. Material shortages – Talk to potential suppliers to make sure the materials will be available on time. Trades not showing up – Keep your backup bid sheets and call them if a contractor lets you down. Trades without enough workers – This should be part of the initial negotiation process. We put a note on our bid sheets asking the company how long it will take to complete the activity. You don’t want a one-man-band to hold up your building schedule. DIY – The owner takes too long to complete physical work because of their day job, lack of skills, or improper tools. Be realistic with your skills and the amount of time you have to devote to physical work on the project. No Schedule – If you wait to call trades and suppliers until you need them, it will take two to three times as long to build a home. Create a realistic schedule and stick to it. Check out our schedule resource if you need one. No person expediting the schedule – For a home to be built in a reasonable amount of time, someone needs to be driving the schedule activities. This means there are project management items that need to be completed each and every day to keep the home on schedule. This is where The Builder’s Daily Construction Guide comes in handy. How Long to Build a Home Realistically? An owner builder that dedicates the time to managing the process can expect to build a home just as quickly as the general contractors out there. As long as you have systems in place to avoid the hassles listed above, you should be able to build an average American home in four to six months. 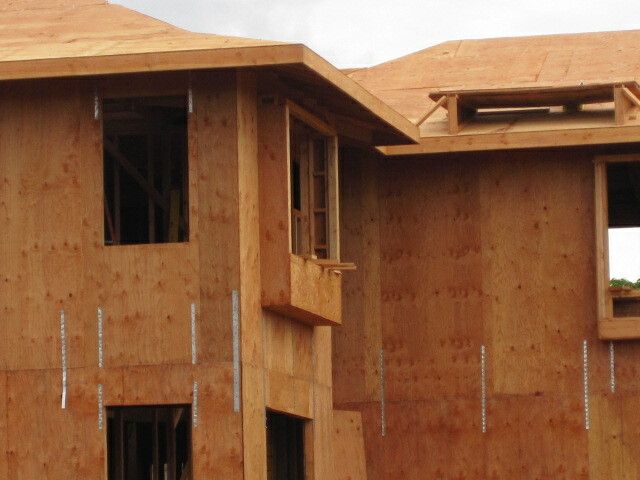 Most of the information we share with you at Armchair Builder is geared toward shortening new home build times while helping to ensure quality workmanship. For more information about the actual build times, check out the U.S. Census Building Permits Survey.